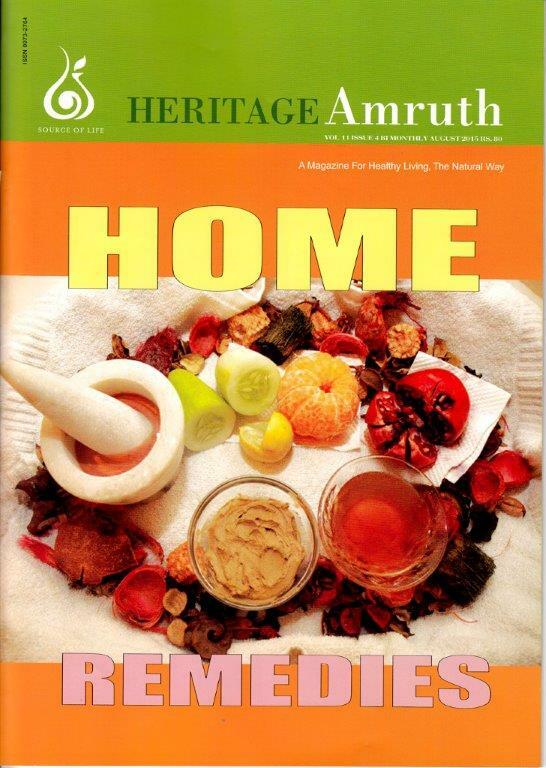 Heritage Amruth is bimonthly magazine. It is an idea, a philosophy that believes that there is a design, purpose an use in every element of nature. It believes that there is science underlying most of our health traditions and that we should build upon our traditional wisdom. Gleaning the user-friendly information from the traditional treasure house of health care practices. Heritage Amruth presents it in the form of articles/features to take care of one's contemporary health care needs. Articles in it cover many topics of interest on Healthy diet & lifestyle. Medicinal plants, Home remedies & Health care, advice on health care issues, Profiles of traditional practitioners, steps for establishing herbal garden and many more. Every issue of Heritage Amruth is designed around specific health care them thus serving as colectors delight for reference and sustained use. This product was added to our catalog on Friday, 13 July 2007.